The baby, baptized Jacob Harmenszoon, lay contentedly in his mother’s arms. Warmth, food and love sheltered his small physical being. Even though his father was only a poor man who made knives for a living, the little one snuggled in his sleep. It was 1560 in the Dutch city of Oudewater and there was much trouble in the land – Spanish trouble, church trouble – and before long young Jacob would have and make his share of them. When Jacob was only a little boy his father died. He was taken from his mother’s home to live with a former pastor of Oudewater in the city of Utrecht. The small boy mourned his father’s death and he missed his mother, (and only brother), very much. But this is what had been deemed best for him. Times were not easy for a widow with two sons to provide for. The old pastor tried to raise the lad as his own. However, when Jacob was fourteen this foster-father also died. Fatherless a second time, he returned to his mother in Oudewater. The reunion was not to be for long. Shortly after arriving home he was taken to Marburg, Germany by a friend. From there he received the news that the Spaniards had attacked and murdered all the inhabitants of Oudewater. Jacob Harmenszoon, whose name had been Latinized to Jacobus Arminius, was an orphan at the tender age of fifteen. It is difficult to imagine exactly how young Jacobus felt. He was not a child anymore, and yet not a man either at this point. It is Biblical to suppose that suffering can produce a steadfastness in the sovereignty of God. For Jacobus this was not the case. 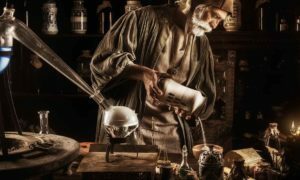 He did develop an intense dislike of any fighting or quarreling – and yet, strangely enough, the false doctrines he later came to espouse have brought about fighting and quarreling to this day. When the teenager Jacobus Arminius was orphaned, several pastors took pity on the young man and one sent him to the recently established University of Leyden. Jacobus was at an impressionable age – the age that most of today’s students leave for college or university. This is why it is so crucial that teachers at this point in life are solid and impart true knowledge. Unfortunately, in Jacobus’ case, this was not to be. One of his professors taught, with power and conviction, man’s “free will,” as opposed to God’s divine election and reprobation. He taught so ably that Jacobus became both convinced and adept at convincing others. He was a good student. His thirst for knowledge plus his excellent study habits earned him a bursary which enabled him to further his studies in Geneva. Here he heard Beza, friend and successor of Calvin, lecture on election and reprobation. But it was too late. His young mind and soul had already totally absorbed “free will” and found it to be an attractive doctrine. Jacobus also traveled to Italy where he met the famous Jesuit priest Bellarmino (1542-1621). Impressed by the man’s great knowledge, Jacobus was subconsciously strengthened in his desire to stretch atonement to include more than just the chosen sheep specified by Christ Himself in John 10:25ff. After all, this man Bellarmino was kind, generous, extremely knowledgeable, active in good works, and surely God could not reject him? “Free will” consequently whispered in Jacobus’ ear that atonement was not limited but universal. In 1587, at the age of 27, Arminius returned to Holland. One year later he was installed as minister in Amsterdam. In 1590 he married Elizabeth Reael, daughter of one of the rich regents of that city – a regent, one might add, who was quite liberal in thought – and whose daughter was likely of the same frame of mind as her father. This marriage seemed to encourage him in verbalizing the wayward thoughts he had already been harboring. A series of rather unreformed sermons on the book of Romans was begun. Although he was a popular man, soft-spoken, cultured, good-natured and of impeccable character, these sermons stirred up a great deal of unrest in his congregation. He surmised, among other things, that death had not come into the world through sin but through nature. In chapters 8-11 he concluded that the reason God elected some and not others was because God knew beforehand what they would choose. Although Arminius was accused many times of preaching heresy, he continually maintained that he agreed with the Church’s forms of unity, (which at that time were the Heidelberg Catechism and the Belgic Confession). The years passed and the regents, (of which his father-in-law was one), protected Arminius. 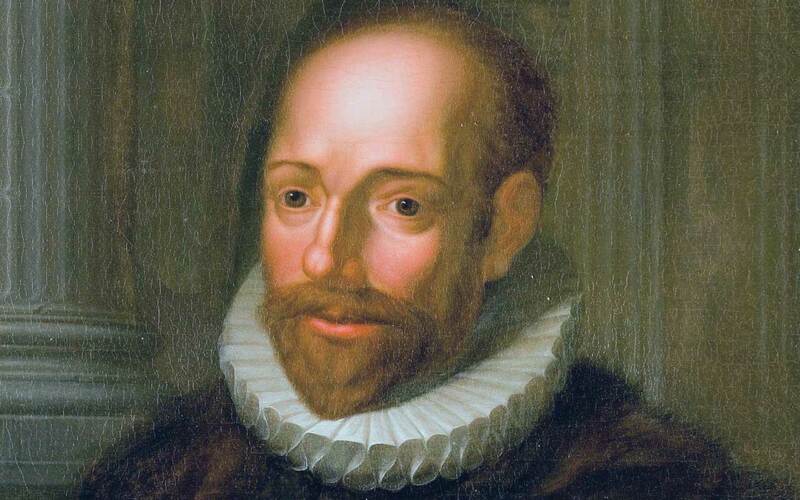 In 1603 Arminius was appointed as professor of theology in the University of Leyden. It had become the most important university in Holland – the university from which the state church called its ministers. The appointment gave Arminius the opportunity to sow seeds of heresy throughout the entire Reformed community. He won approval of the students easily enough, for he was a congenial fellow and an able teacher. Between classes he gave private lectures at his house and criticized Calvin, convincing a great number that there were errors in the confessions. Understandably, there was quite a bit of discord within the university halls and in the church pews. There was a civil court in 1608, and again in 1609, at which these problems were discussed. It was obvious from these sessions that Arminius led a minority and would certainly lose out at a proposed synod. This is why the government, which looked on Arminius as a protégé, refused to call one. By the time the Synod of Dordt finally did take place, (1618-19), Arminius had been dead for almost ten years. Jacobus Harmenszoon, alias Jacob Arminius, died in 1609 before the age of fifty. Christine Farenhorst is the author of the just published Katharina, Katharina, about the times of Martin Luther. This article first appeared in the January 2006 issue.